‘A Voronoi diagram is a special kind of decomposition of a metric space, determined by distances to a specified family of objects (subsets) in the space’ as explained by J Smallwood. 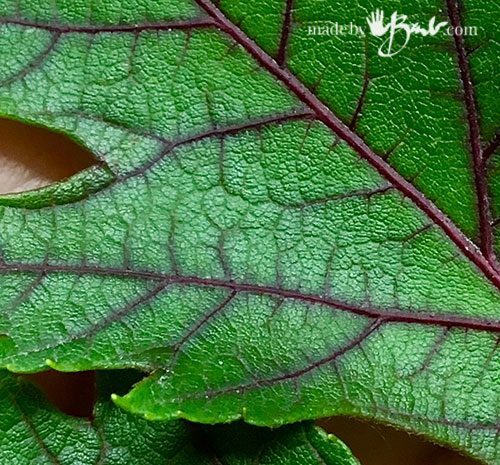 Look closely as you will see many small odd shapes that come together to create the leaf cell pattern. 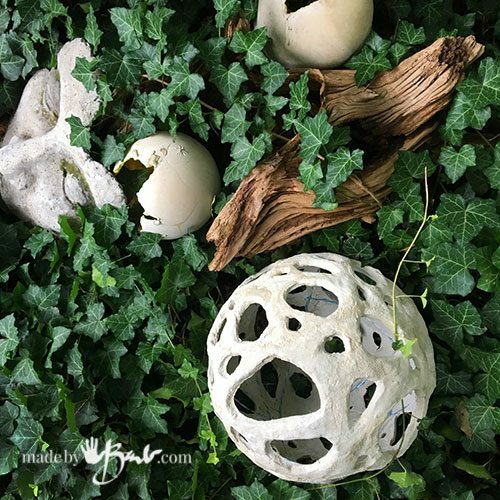 You know how much I love taking inspiration from nature; and Voronoi in nature is amazing! It’s quite complicated to figure out the geometry but my design is quite simple. Before you get ahead of yourself you need to get the shape ready. 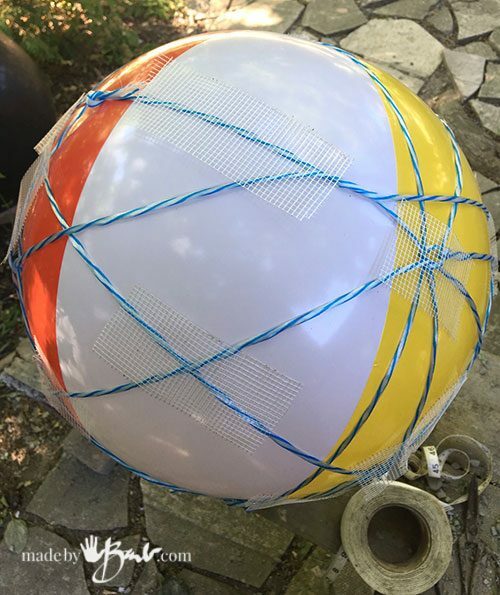 I’d rather use a deflatable beach ball as balloons can burst and not be so round. 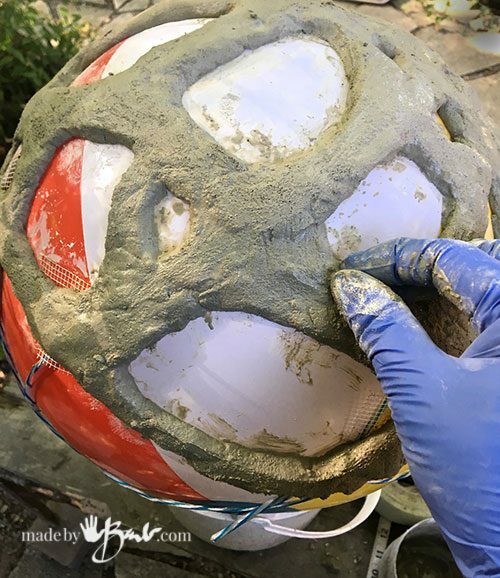 When making concrete orbs often covering a ball is difficult since the concrete slides off so here we use a wrapping of poly-twine in ‘Voronoi’ random shapes as an aid for reinforcement. 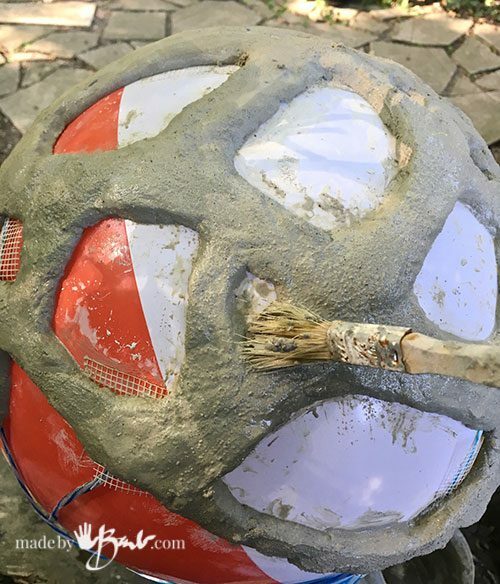 Also add some drywall mess to help to adhere to the ball since it has slight stickiness. Tie and twist as you wrap so that the string does not slide off. I get many questions about which concrete to use and this mix is my favourite (no affiliation with company) It works easily and cures/hardens fast enough to allow continuous working. Do be aware of temperature and other factors that may dry the mix too fast and always be safe with gloves and dust mask. 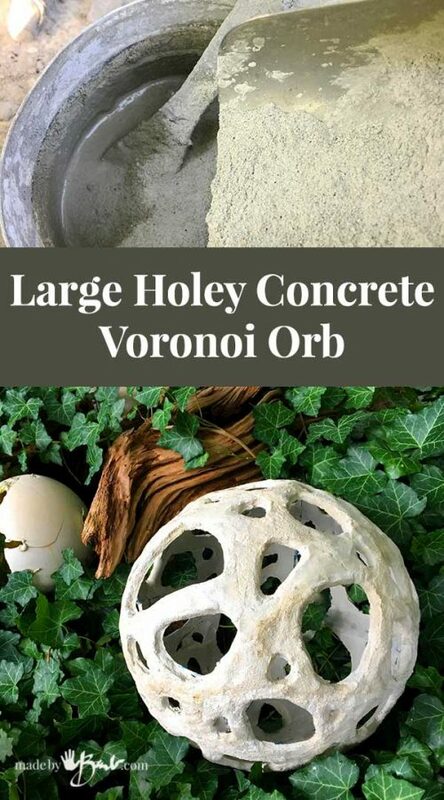 If you are new to concrete crafting then you may want to check here for some tips. This mix acts somewhat differently than other mixes but also hardens to a stronger finish. The amount of water needed tends to be less than other mixes as it’s absorbed quickly to make a more ‘plastic-like’ mix. The company recommends adding mix to water; and after using it many times I understand why now; who reads instructions?! 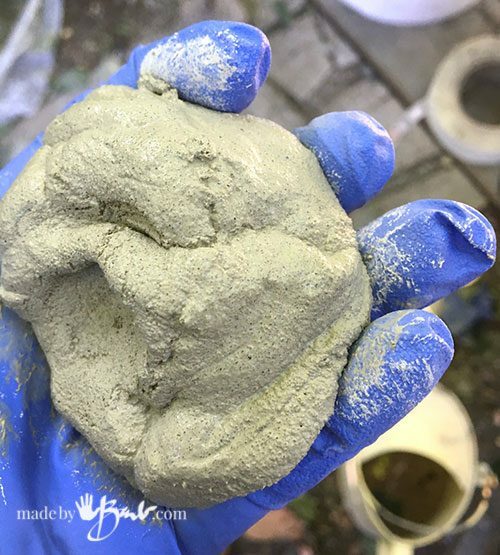 This very part is important; as the consistency of the mix makes all the difference when molding by hand. If you allow the mix to sit for about 30 seconds it will thicken already and become more like a moldable clay. Adjust of it’s too stiff or too runny and only mix small quantities as it will harden before you can use it; I mix about 300ml or so. Here’s the fun part… getting a bit messy! 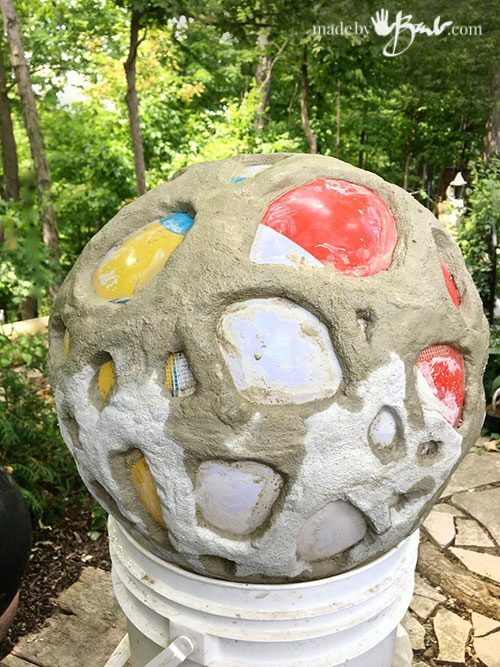 As the ball is very stable on a bucket start at the top to keep the weight distributed or it will roll (don’t ask…) Work over a ‘string line’ and across others… Shape the concrete into rolls in your hand and apply, smoothing with your fingers. 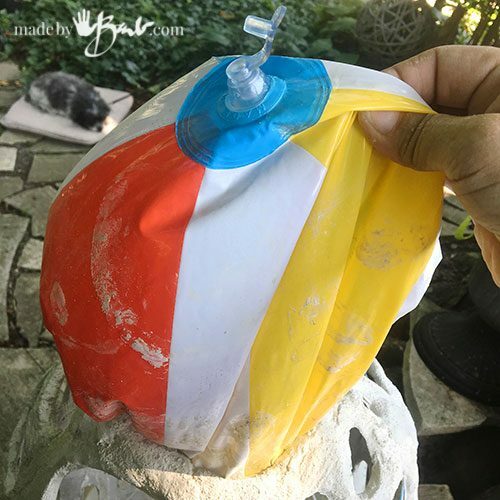 Since this is a plastic ball the concrete does not stick to it so I do not use any release agent. Doodling is very similar; just add as you feel like & keep turning and looking… Use you intuition where it needs more shapes. When adding to areas that are somewhat dry/cured makes sure to spray with water so no cracks happen. 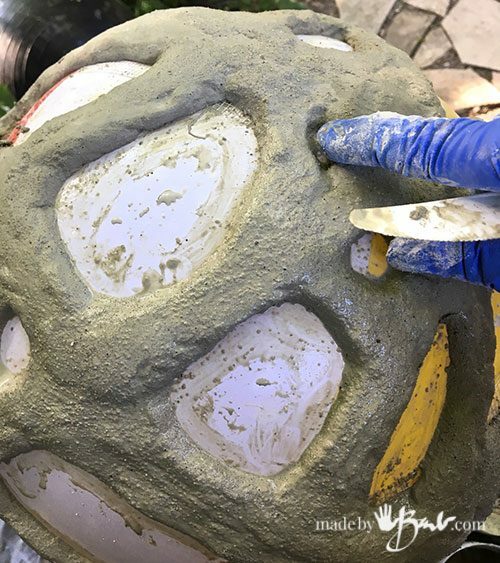 Additional concrete can be added later to the concrete orbs if the first layer is well wetted so it does not ‘steal’ the moisture from the new layer. Concrete likes to be damp when curing. Spray it with water often to build it’s strength and have even curing. This mix will cure to a very strong finish in about 1 hour but you can always give it a bit longer. 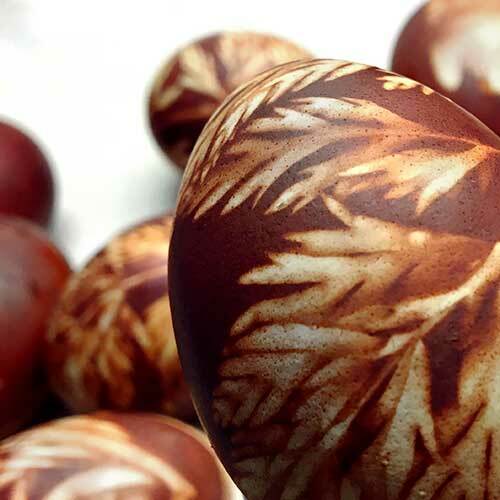 Why waste when you can reuse? 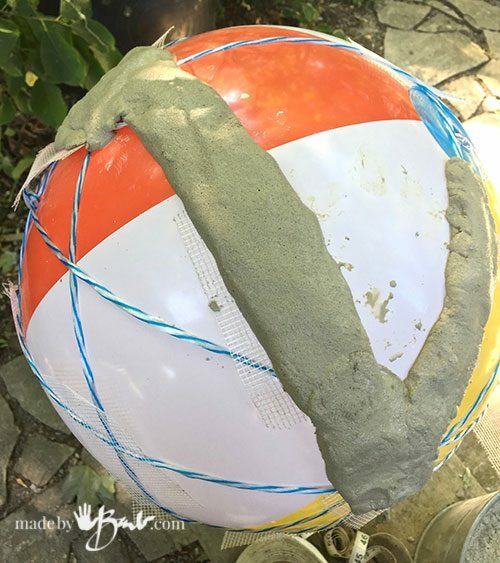 Deflate the beach ball and pull out of the largest hole of the concrete orb. 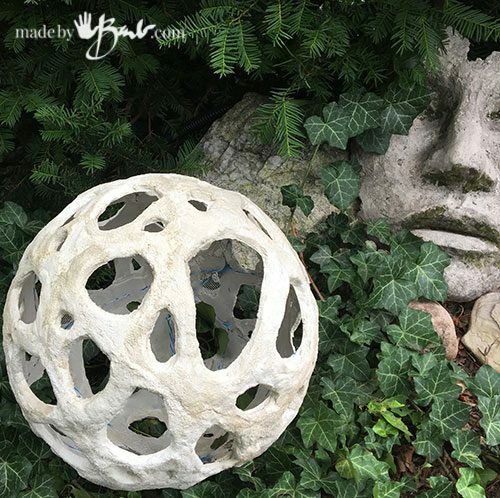 Thanks for joining me in my garden and my crazy concrete addiction… IF you want to make more concrete like the large face or other orbs or eggs … concrete on. Barb, I think I would love to make messes with you! 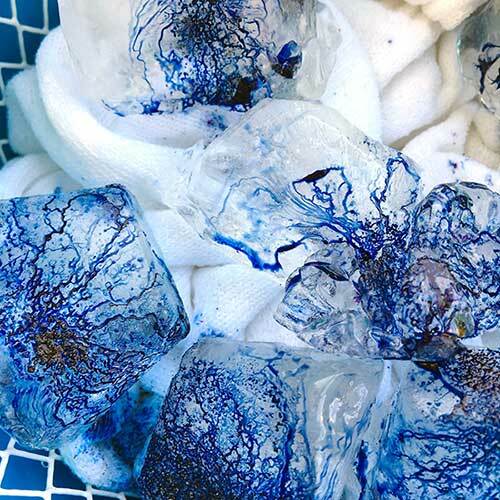 You are not afraid of getting a little dirty and your creations are just gorgeous. 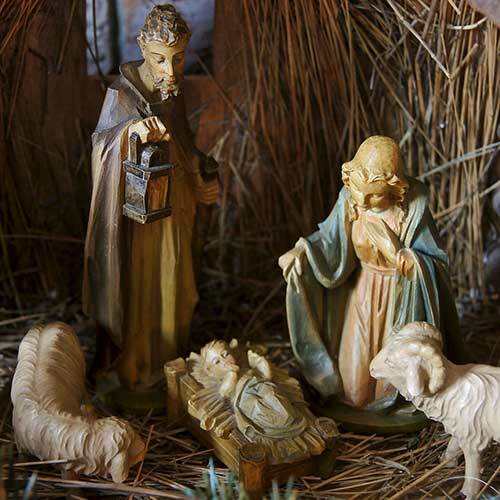 Art in any form is a process; so whatever it takes to make something from the heart & soul is fine… I wish I had a few elves to just clean up behind me. Oh well, sometimes cleaning up does give some new glimpses of how a media works. THought you might like to know that the link you use for your choice of cement goes nowhere . It says “page under construction” It has been like this for a couple of months now . 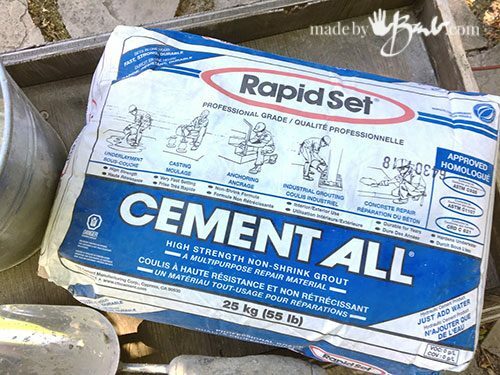 Home depot and Lowe’s sells rapid set cement all for about $23 a bag everyday. Hi Barb! I just wanted to share this with you. 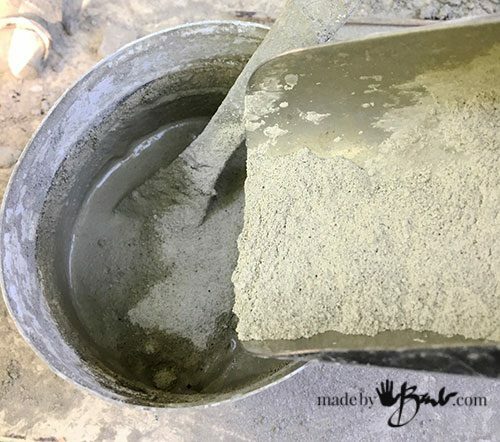 Adding simple Vitamin C powder to the water you mix your concrete with will give you up to 10 to 15 minutes to work with your concrete without compromising the strength. I use about 1 tablespoon in 2 quarts ice cold water. Cold water will also give you more working time. I will not pour any rapid set without adding the vitamin c powder now. I’ll add this to my list of your designs I’ll make! You’re the bomb Barb!! I’ve got 10 centerpieces to make to donate to a fundraiser in June and your ideas really help!! Thanks! !